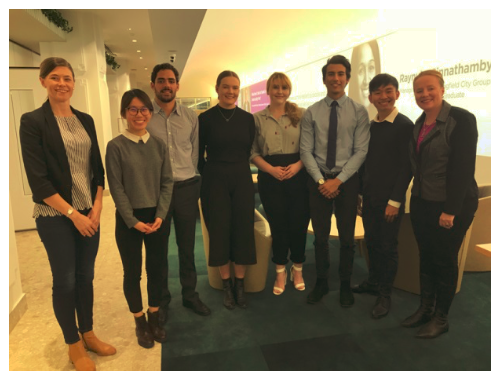 A team from the Faculty of Business, Economics and Law Student Employability of the University of QLD opted to investigate some aspects of the Foundation operations as part of the semester qualification requirements. Team member and Bachelor of Commerce student Winnie Sim said she was drawn to working with Trojan’s Trek because of the emphasis on mental health and wellbeing for veterans. The team developed an engagement strategy to build awareness of the Trojan’s Trek program among veterans in need across Australia. They also produced an analysis of actual and amortised costs to assist in managing expenditure. The team spent the semester devising their engagement strategy, including their three primary recommendations for the future. The project was the overall winner of this semester’s Community Engagement Program (CEP), an initiative of UQ’s community strategy. Board member Vannessa Patterson, who was the contact between the students and the Foundation, said she was impressed by the teamwork and willing devotion to all aspects of the work completed by the team. Our congratulations on a great outcome!